Slim, elegant and easy to handle. 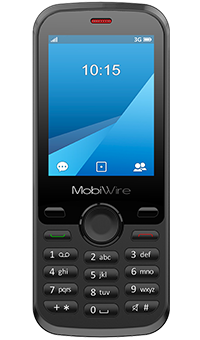 The MobiWire Aponi 3G feature phone weighs just 56g and makes light work of moving around online and accessing emails. 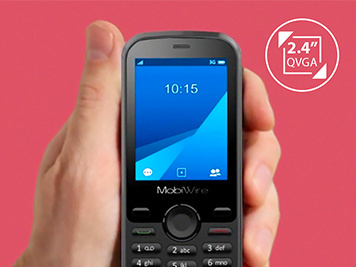 The full-colour 2.4-inch QVGA display is crisp, clear and comfortable to use. 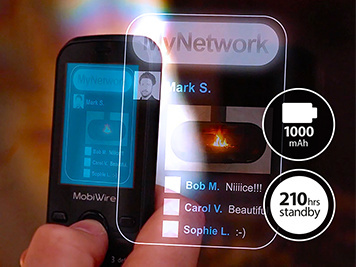 Making it easy to write texts and see who's calling you. Whether it's music, texts or moving from site to site, this advanced 3G feature phone makes navigation really simple. The perfect balance between quality, performance and price. 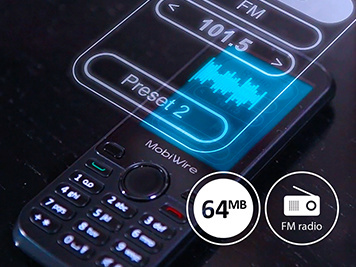 The MobiWire Aponi is packed with great features like FM radio, Bluetooth and 64MB of storage. Plus the long lasting battery means you can always keep in touch.